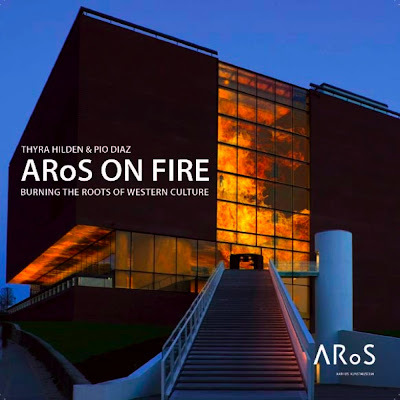 The Danish-Argentinean artist couple Thyra Hilden & Pio Diaz destabilize European cultural history by setting buildings and monuments on fire. The duo set the monuments of western cultural history on fire in their joint and ongoing video project “City on Fire.” With their seductive and spectacular artistic gesture, they reveal the fragile and transitory nature of these man-made constructions, and thereby destabilize prevailing order. The old monuments serve as weighty expressions for western culture and identity, and have to a certain extent functioned as templates for later constructions in cultural history. 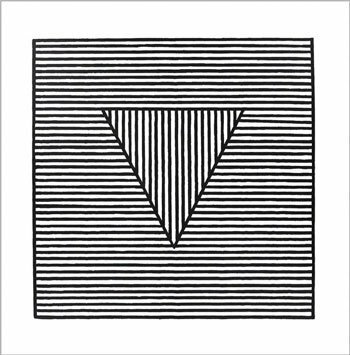 As such they constitute a physical foundation for western self-understanding, which the two artists unpack and recast in their edgy work. 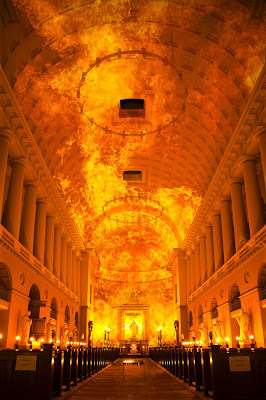 City on Fire first came into being in 2005 when artists Thyra Hilden and Pio Diaz created their first installations in Rome. From the outset, it was the artists´ intention to re-create the installation at other venues of great symbolic significance in the Western world. Still, the symbolic value of Rome as the first site was particularly important to Hilden and Diaz. The subtitle of the project is ‘Burning the Roots of Western Culture’ and even if City on Fire is not a political instrument – rather it is an aesthetic manifest – the very substance of the work holds the desire to highlight the roots of Western culture and the destruction connected with it. A destruction that we still witness today.